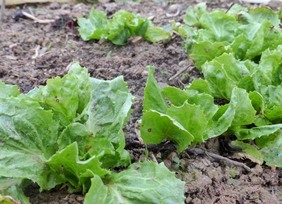 Growing instructions: Endive is grown like lettuce and is sensitive to hot weather. Thin plants to 8-12 in. apart in rows 18 in. apart. May be blanched in 3 weeks by tying up the outer wrapper leaves, but must re main dry inside the wrapper. Blanching increases crispness, tenderness, and removes bitterness caused by hot weather. For prolonged harvest, dig plants in late fall with root ball intact and store at about 50°F in a root cellar.